[by Charles Whitfield | HEALTH COMMUNICATIONS | 1987] Dr. Whitfield describes the journey of discovery and healing our fears, confusion, and unhappiness. This book begins where many others describing adult children of alcoholics have left off. 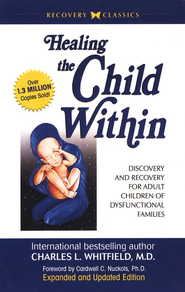 It also describes and develops the concept of adult children of troubled or dysfunctional families in general, rather than focusing only on the alcoholic family.